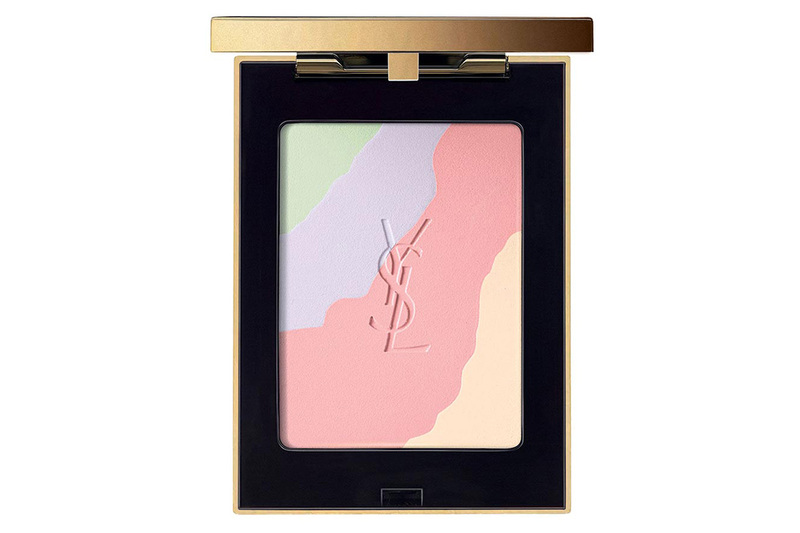 Boho Stones: YSL Beauty Spring 2016 Collection | Top Beauty Blog in the Philippines covering Makeup Reviews, Swatches, Skincare and More! Boho Stone Collection. The Yves Saint Laurent woman par excellence. Her intuitive sensuality and assertive femininity; an inspiration to the admirers that follow in her wake — entranced. 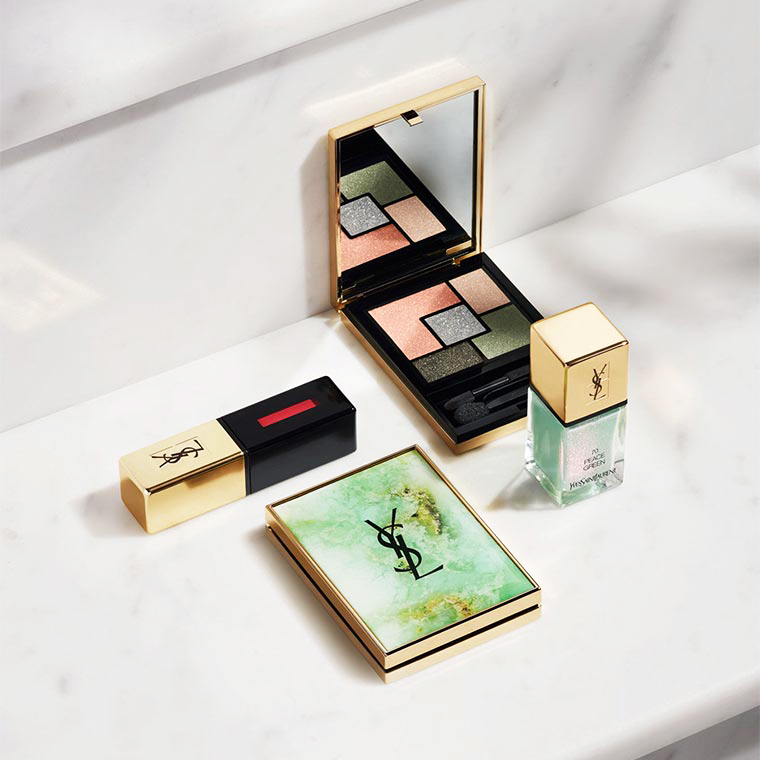 This collection is now available online at YSL Beauty; and on January 2016 at all retailers (Nordstrom and Sephora). COUTURE PALETTE COLLECTOR INDIE JASPE $60.00 - Boho Stones Couture Palette. Inspired by the free-spirit of a bohemian lifestyle, green opale creations float throughout the palette that is trimmed with gold. 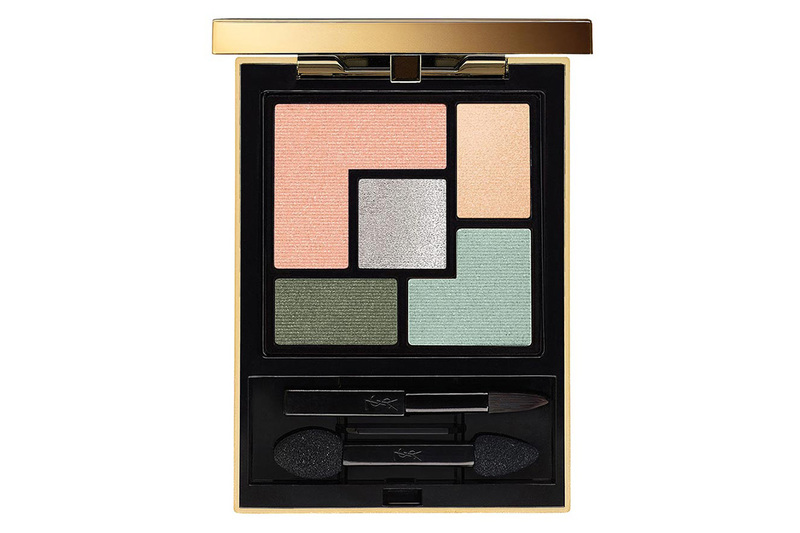 A beautiful rich silver plays center stage, as sage greens and peach add richness to the eyes. FACE PALETTE COLLECTOR GYPSY OPALE $47.00 - Each shade of the radiant face powder can be used separately to correct any uneven skintone or all shades can be used together for a soft and sophisticated touch of brightness.Uninhibited and modern, introducing the limited edition Boho Stones Couture Palette. Inspired by the free-spirit of a bohemian lifestyle, pink opale creations float throughout the palette that is trimmed with gold. 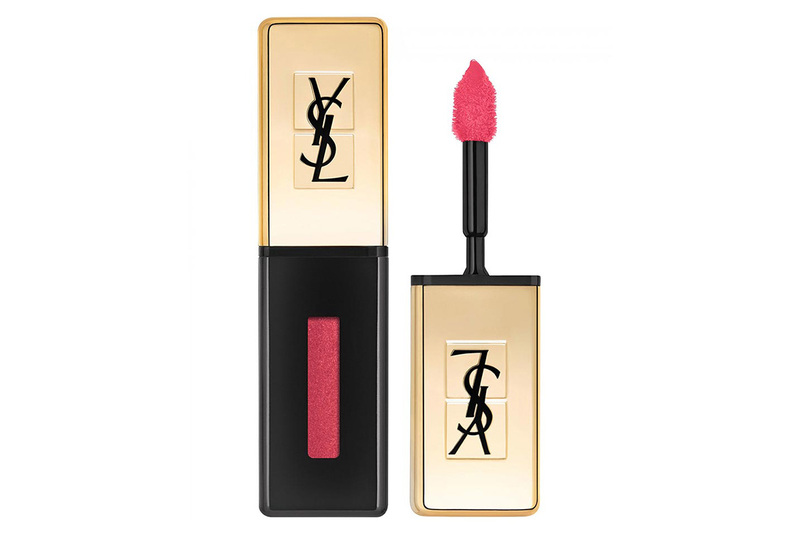 ROUGE PUR COUTURE GLOSSY STAIN $36.00 - A fruity, juicy, fresh take on spring. 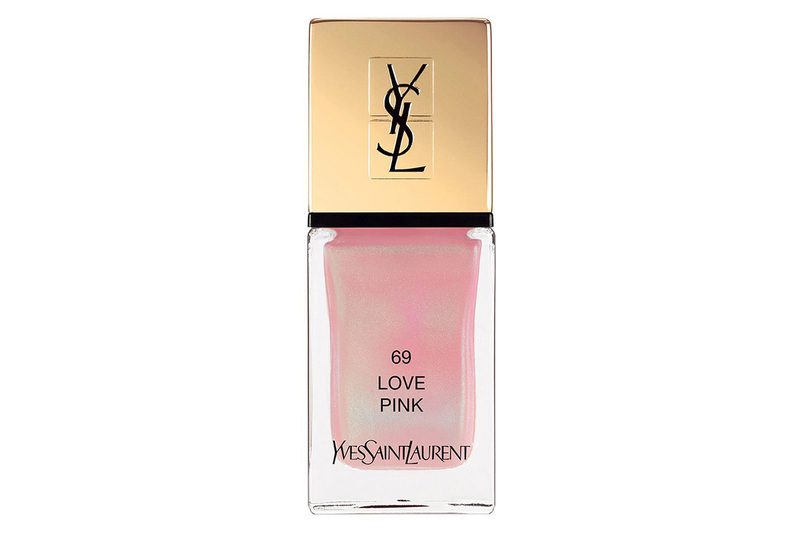 Surfing on the success of the VERNIS À LÈVRES family, come two new pop shades of rich, buildable lip color. Layer them on like a lacquer depending on how intense you want the desired result. 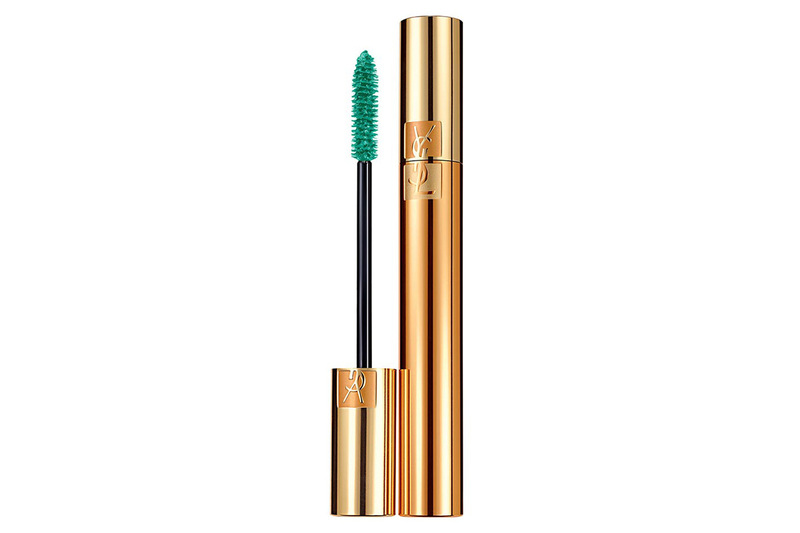 MASCARA VOLUME EFFET FAUX CILS $32.00 - For spring 2016, let the light in your eyes radiate in glorious bohemian color. Like wearing vivid, delicate feathers on your lashes, the new collector shade can be worn alone, or on top of your usual MASCARA VOLUME EFFET FAUX CILS. Create an accent on a single layer of lashes - upper or lower. Extreme color. Full bohemian spirit. The shade is strong, stand-out, and perfect for those who like to show-off. 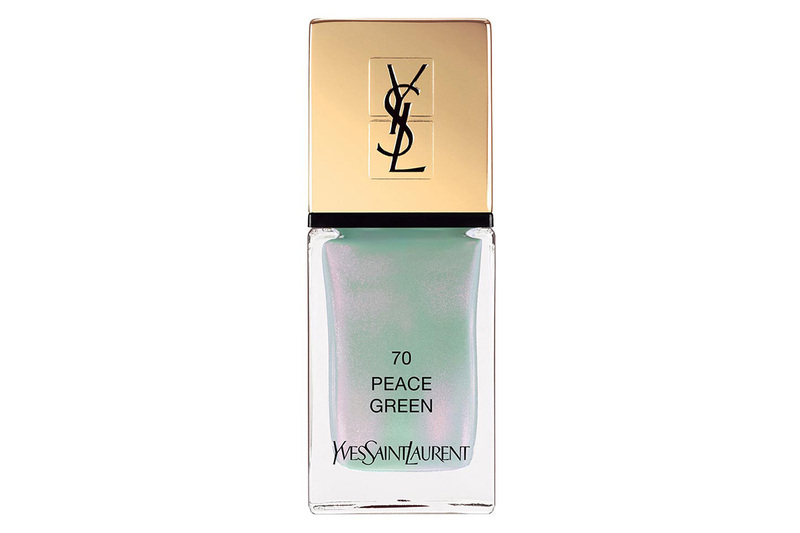 LA LAQUE COUTURE $27.00 - Reflecting the tones of green jasper and pink opal, each shade has a pearly finish for a pretty, shimmering effect on the fingers. Exquisitely feminine, it’s like wearing jewels. Pop. Edgy. The manicure for spring 2016. Increase the intensity by applying more coats, or apply sparingly for a natural accent. The nail polish colours are so so so beautiful, I can't wait to get my hands on them! Thanks so much for sharing!